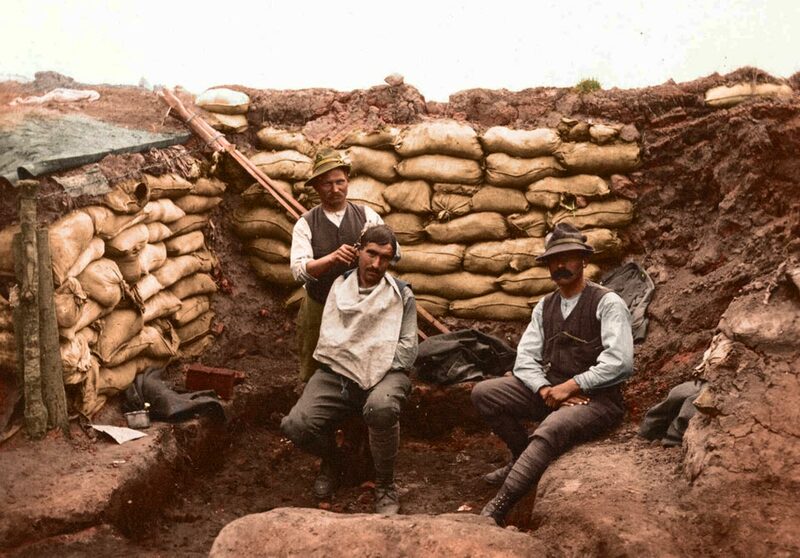 A trench on the Albanian front in 1918. A soldier receives a hair cut from an Alpine barber. These two in the FA-18F displaying the American Flag Is Great!